Le&ndra Wallace: Interview w/Tara Dairman + A Giveaway! 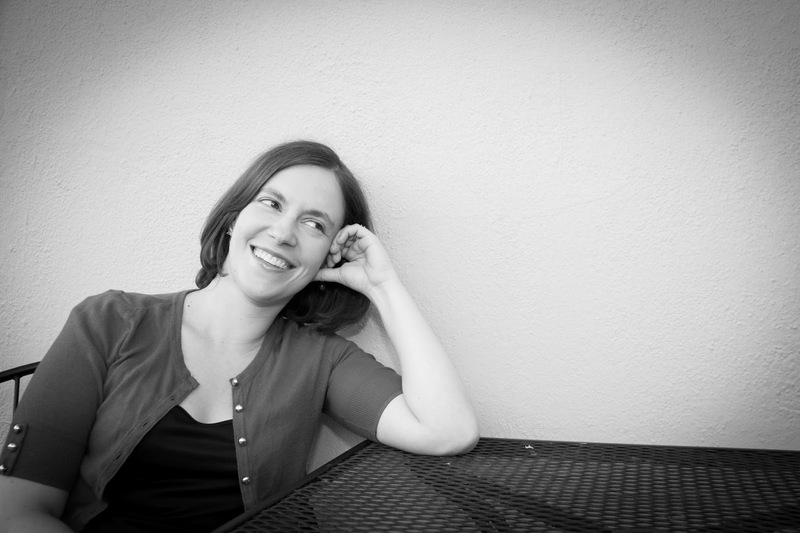 Interview w/Tara Dairman + A Giveaway! 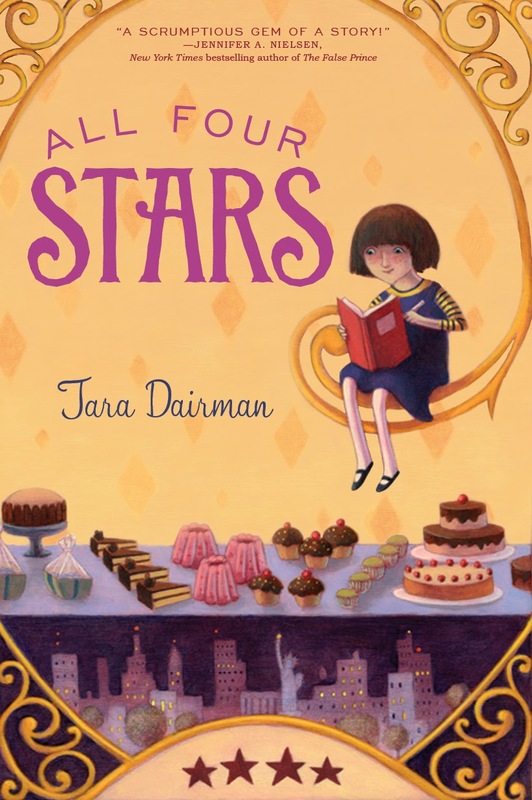 I am super pleased to welcome Tara Dairman to the blog today! I have long been in love w/the cover for ALL FOUR STARS. It features desserts(which I love) & buildings(which I love). So lets get started! 1. What would be your most scrumptious meal, followed by the most fantastic dessert? Wow, what a tough question! It really depends on my mood, since there are so many different cuisines that I love (Indian, Ethiopian, Middle Eastern, Malaysian...) But great Italian has always tasted like comfort food to me, so I guess I would go with a bowl of light-as-air gnocchi in a delicious basil pesto sauce. And for dessert, rhubarb crumble with a scoop of cinnamon ice cream. 2. One of the things you hear about writing MG is that if an author isn't careful, an 'adult' voice can start to creep in. Do you have any problems w/this, and if so, how do you identify it? Great question, and yes, I've had issues with this. I love to write long, winding sentences full of em-dashes and parentheticals-- and use big, multisyllabic words to boot, as you can see in this very sentence. :) So when I revise, I try to keep an eye out for these and simplify whenever possible. I certainly don't want to dumb things down for my readers, but not letting my sometimes-convoluted style get in the way of the story has to be my first priority. 3. Your main character, Gladys, won a letter C cookbook giveaway! Would she pick a cupcake, a chicken, or a cake cookbook? 4. When writing All Four Starts what were some of the things you researched? I definitely researched Indian food, because I wanted to get the combination of dishes served at the dinner at Parm's house right. I also had to survey journalist friends to find out how much money a freelance restaurant critic might make for publishing a review with a major newspaper. 5. If you could turn a fav book into a movie, what would you pick? I'm pretty luck that two of my very favorite books-- Pride & Prejudice and Jane Eyre-- have been turned into movies over and over again! So for now I'll go with one of my favorite recent middle grade books: Better Nate than Ever by Tim Federle. Though maybe that one needs to be a Broadway show! 6. What is one of your fav lines from All Four Stars? I sort of love the irony of Charissa's line when she's bragging to everyone about how great her birthday celebration will be. "I'm going to have an adult party," Charissa continued. "My parents are setting the whole thing up!" Because what could be more grown-up than letting your parents plan a birthday party for you? Oh, Charissa-- you have a lot to learn. Tara Dairman is a novelist, playwright, and survivor of the world’s longest honeymoon (2 years, 74 countries!). With the traveling bug appeased (for now), Tara has finally settled down in Colorado, where she lives with her husband and their trusty waffle iron. ALL FOUR STARS is her debut middle-grade novel. GIVEAWAY TIME: I have for one of my lucky lovely readers, a little something that I think coordinates so well w/an element of AFS's cover. 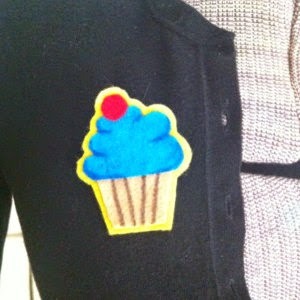 Sorry, it's not your own building, but rather...a cupcake pin! To be entered to win, simply comment and please follow Tara at one or more of her social media links. Winner will be announced on via Twitter on 7/15 & also posted in the comments. Congratulations on AFS's release, Tara! Wishing you both much success! This looks fantastic. Thanks for featuring it. Congrats to Tara! I am salivating already ... and an 11-yr-old food critic sounds like *my* kids. We're all foodies so you can just imagine. And Tara, I esp. liked that Gladys would want a chickpea cookbook! That'd be me too. Congratulations!!! this might be the cutest cover I have ever seen! and the book sounds adorable! It is totally cute and whimsical! What a cute cover and I love the sound of this book. Congrats Tara. My tummy is rumbling now! I am editing MG at the moment so know exactly what you mean by the adult voice sneaking in from time to time! Oh my gosh, you two have made me hungry! Good thing I'm having Greek food for lunch ;) Very fun interview, and best of luck to Tara (I want to hear more about that honeymoon!). Crazy, right? And what a wonderful way to make memories together you'll never forget! I'm pretty sure there isn't anything here I don't adore -- cover art, premise, food! Awesome book. Putting on my To read shelf on Goodreads. You summed up my attraction to this book perfectly! I love her favorite line. It made me chuckle. Best of luck to Tara. Aw, I bet they love it! Hi, Leandra! I love the cover of All Four Stars and Indian food. So this post is wonderful. Tara, Happy New Novel Blog Hop! I'm sure your story is tasty. Also, I just did the random number generator- and you won, Manju! 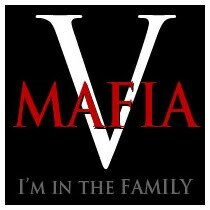 Interview w/Charlie Holmberg + Giveaways!